It was through the partnership that my church has with His Voice Global that I learned about the opportunity to travel to Kenya in December of 2018. I am forever grateful for this wonderful opportunity to serve God. It was honestly a dream come true for me. It was an amazing experience I will never forget. God was ever present through out this experience. I was able to get a deeper glimpse of what God sees. As a Christian and follower of Jesus – I embarked on this opportunity as an occasion to fulfill the Great Commission that Jesus has called us (Christians) to do. I went to serve and give. But it was through this opportunity that I also received so much. It was an experience of giving and receiving. It was fascinating to be able to learn and know about another culture. It was a reminder that we are all the same. We are all in need of relationships filled with love and grace and mercy. I realized that it is in our human nature to put up boundaries, but with God in His kingdom, there are NO boundaries. He sees us all has His own. 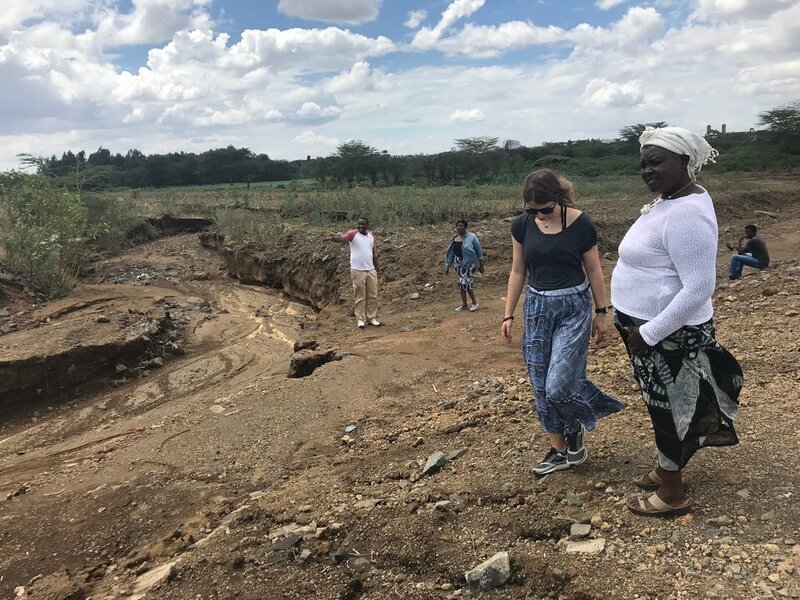 To be able to visit Rift Valley Hope and learn how the people with this organization reach out to the communities and serve the people there, left me in awe and so inspired and humbled. To hear the stories of many children who were in dire situations and in a state of survival daily was heartbreaking. 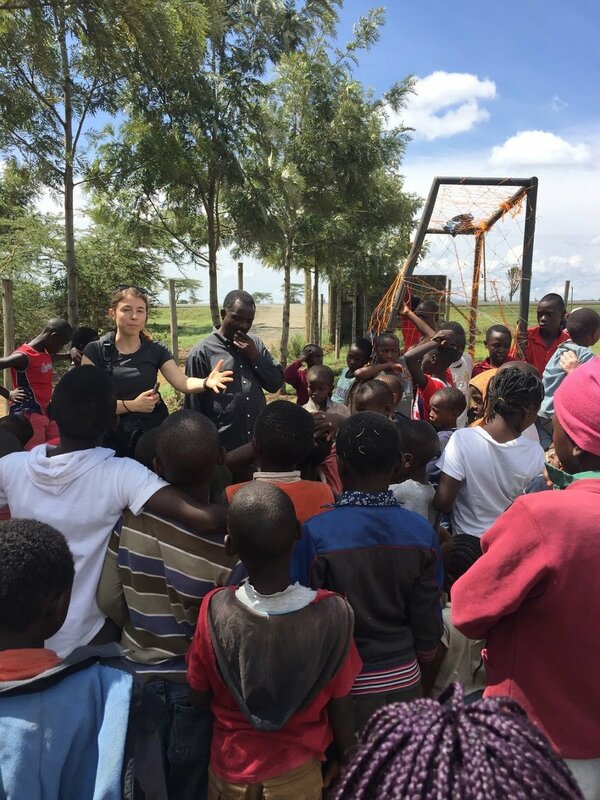 Rift Valley Hope and its staff serve and work to provide these children with the daily necessities of life…food, shelter, clothing, and an education. This was nothing elaborate. There was beauty in the simplest of things. It is through their answering God’s calling that Rift Valley Hope provides these children to connect with people who love them and provide them with protection and security. Through this, innocence and a childhood are restored. These children are being given hope and a future of possibilities never known before. Through this they are taught their worth is immeasurable and they are accepted and belong to God. Not only are the children being served, but adult women are being helped as well. Rift Valley Hope is helping provide opportunities for assistance and in some cases, work. These women are also an inspiration for me as well. Like Rose, she is a spiritual leader to the community and works to cook and watch over the children. She works hard and has her own struggles. But she enjoys what she does, she enjoys life. Her laugh and smile are contagious, and she gives the best hugs EVER!!! This year was a struggle for me, to be able to go on this mission trip in December, was much needed and perfect timing. I was feeling empty and low. When I left Kenya to come home, I was filled with the Holy Spirit and a renewing and a new hope. In a sense, God restored to me an innocence and a childhood I had lost and forgotten about. My time spent with the people included sharing the Advent Story – the TRUE meaning of Christmas (read from Luke 2). But then to play games with the children and dance. Laughing, hugging and sharing. At the beginning of the year God called me to learn to ABIDE in Him through Jesus. I was doing a year study. That lesson came to completion with this experience. Final lesson learned from the experience and my new life motto: Time is relational…. it’s intentional. It is focusing on the people around you and walking with them in that very moment of time. It is Ubuntu (Swahili) which means…I am…We are. Ubuntu…. human. Ubuntu…. God’s children. Ubuntu…. loved. Ubuntu…. chosen. Ubuntu…a community without borders. Thank you to His Voice Global for your work in and for the opportunity to allow people like me to serve others and be able to share God. You are a true blessing.